The current weather pattern is setting up an unusual situation where weather from every season will be seen across the United States in a single day. Parts of the country are likely to see severe storms while others see significant snow and ice, and there's even a large part of the United States with a significant fire danger. 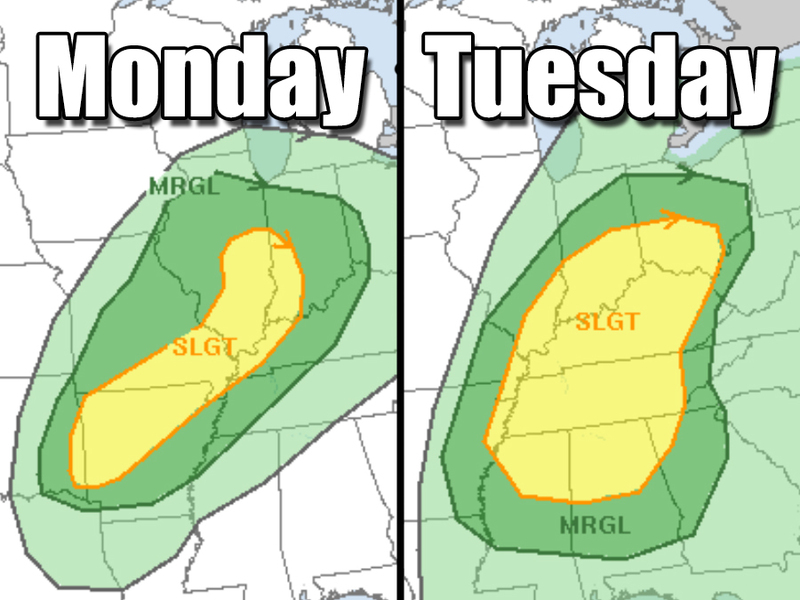 A surge of warm air and an incoming low pressure system are bringing an increased chance for severe storms to parts of the Midwest and the Mid-South on both Monday and Tuesday. The main threat from these severe storms is likely going to be damaging straight-line winds, but that's not to say a tornado or large hail aren't possible either. After all, 2017 has already had more deadly tornadoes than all of 2016 . 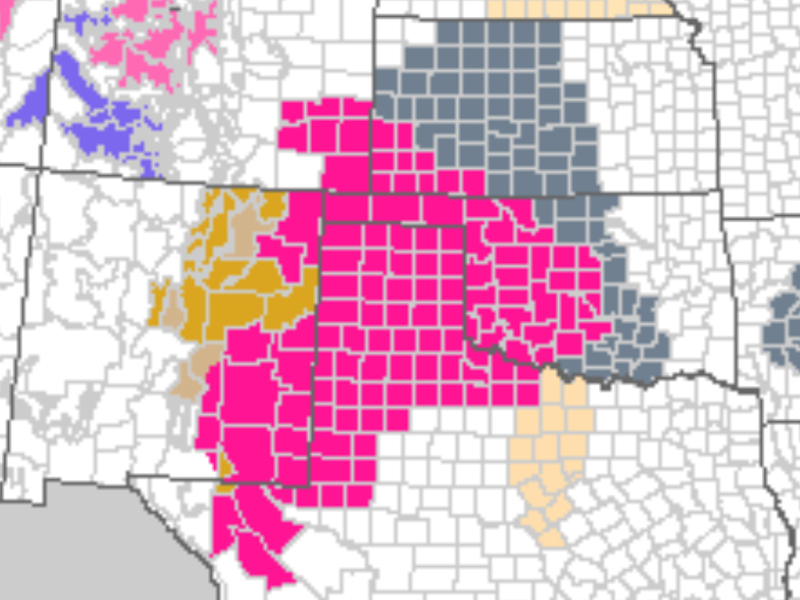 In the middle of the country, it's more like summer with strong winds and unseasonably warm, dry air are creating an increased fire risk from southeast New Mexico through the Texas Panhandle into western Oklahoma and the corners of Colorado and Kansas. While it's more like spring and summer in the Midwest and the Plains, winter is the season of choice west of the Rocky Mountains. A winter storm is bringing heavy snow to parts of California, Oregon, Washington, Idaho, Montana and Wyoming. 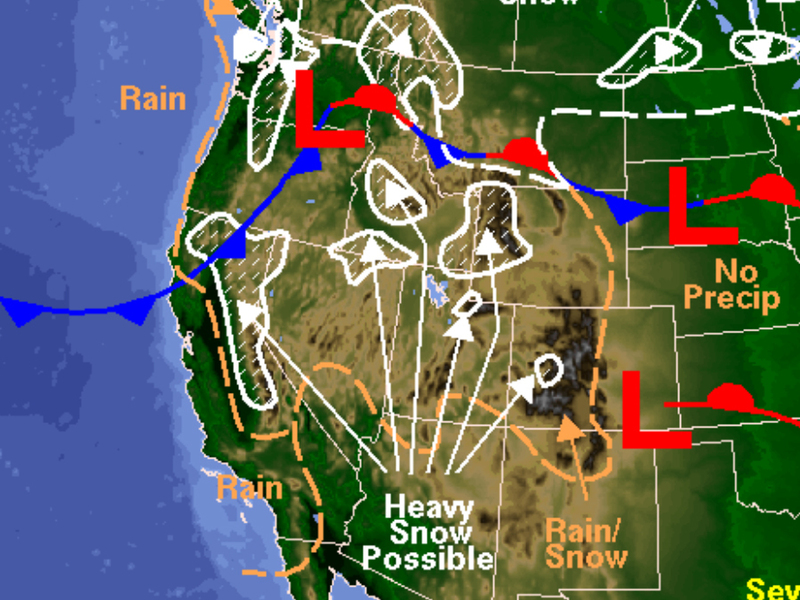 Winter storm warnings and even a blizzard warning are sprinkled across the western United States. It's not a major snowstorm, but some snow and freezing rain will be moving across parts of the Northeast, especially Pennsylvania and New York, too. This type of weather pattern is more typical closer to spring, but since long-term forecast models are hinting at a warmer than average February, the odd weather may continue through the rest of the month well before spring officially arrives.